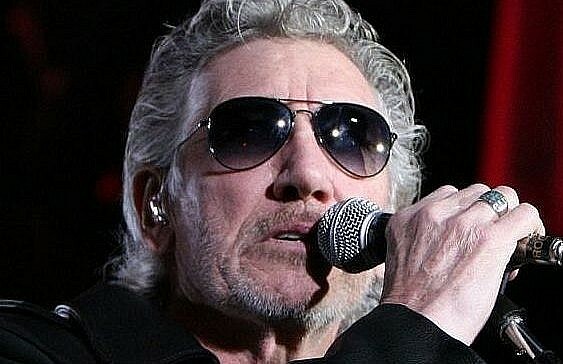 Roger Waters’ anti-Israel activism has cost the British rock star millions of dollars and an American Express sponsorship, the New York Post reported. The credit giant took off the table a $4 million sponsorship of Waters’ 2017 tour in North America following his partisan and anti-Israel rhetoric this month at a festival that American Express sponsored, according to the tabloid’s report Thursday. “Roger is putting on a huge show. The company was asked to sponsor his tour for $4 million, but pulled out because it did not want to be part of his anti-Israel rhetoric,” an unnamed source from American Express was quoted as saying. But an official spokesperson for the firm said it never formally offered to sponsor Waters’ 2017 tour. “When we were approached with the options, we passed on making a bid,” the spokesperson said. At the Oldchella festival, Waters used his time on stage to blast the Republican presidential nominee Donald Trump and to call for a boycott of Israel, according to the Post. “F*** Trump and his wall,” Waters said at the event, calling the billionaire reality star “arrogant, lying, racist, sexist.” He then voiced his solidarity with students protesting for Palestinians. He also urged people to support the Boycott, Divestment and Sanctions movement against Israel. Waters did not reply to requests for a reaction by the Post. Earlier this year, Waters said in an interview that celebrities are afraid to “speak out against Israel’s policies,” as he termed it, because of what he described as financial consequences attached to doing so. “I’ve talked to a lot of them, and they are scared s***less. If they say something in public, they will no longer have a career. They will be destroyed,” he said. Waters, the 69-year-old co-founder of the classic rock group Pink Floyd, has been widely criticised for his anti-Israel activities and accused of espousing anti-Semitic symbols, though he has denied doing so. In a 2013 concert in Brussels, Waters performed on a stage featuring a giant pig balloon emblazoned with a Star of David, among other symbols.